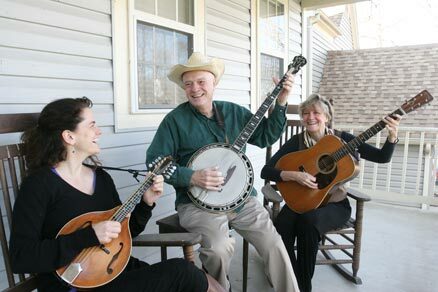 Recently, his banjo music can be heard in the movie, ‘Barnstorming’, on PBS stations nationally. He received an Individual Artist Grant from the Montgomery County Arts and Humanities Commission to complete his new CD of original songs for general audiences. The CD, ‘American Acoustic’, is now available from this web site, and on CD Baby and iTunes. He performed a regular Friday morning show for children at Jammin’ Java in Vienna, VA for over 10 years, and now performs a family show there on weekends several times a year. Jammin’ Java is rated annually as one of the top 100 venues of its size in the world. He performs regularly at area events, including the Germantown Oktoberfest, The Takoma Park Folk Festival, and many other community events, schools and private parties. His band, The New Mountain Fever Band, also performs at events and festivals. 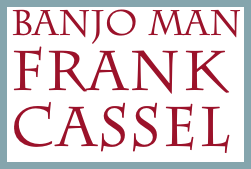 Frank has been an entertaining guest on a number of TV shows, and music from his two CD projects is played on radio stations around the world.